* Gold starts off with a loud blast of sweet fruits (a mix of berries and citrus) and spice. * Initial projection is quite loud and stays strong for about 30 minutes. * Then the scent fades really quickly into a weak nondescript mix of woods, amber and vanilla. * Within two hours, you can barely smell it. SUMMARY: When I first smelled Jay-Z Gold, I thought, “Wow, this is a knock off of One Million.” Wearing the two side-by-side, I realize that I was only partially right. Jay-Z is incredibly similar to One Million for 30 minutes.. and while One Million keeps projecting its strong synthetic and narcotic sweet fruity essences, Gold devolves into an emasculated, cheap, generic, woody amber musk skin scent. Two hours later, Gold is barely noticeable – as if the fake veneer (gold plating) has rusted away and you are left with little to show for what you paid. 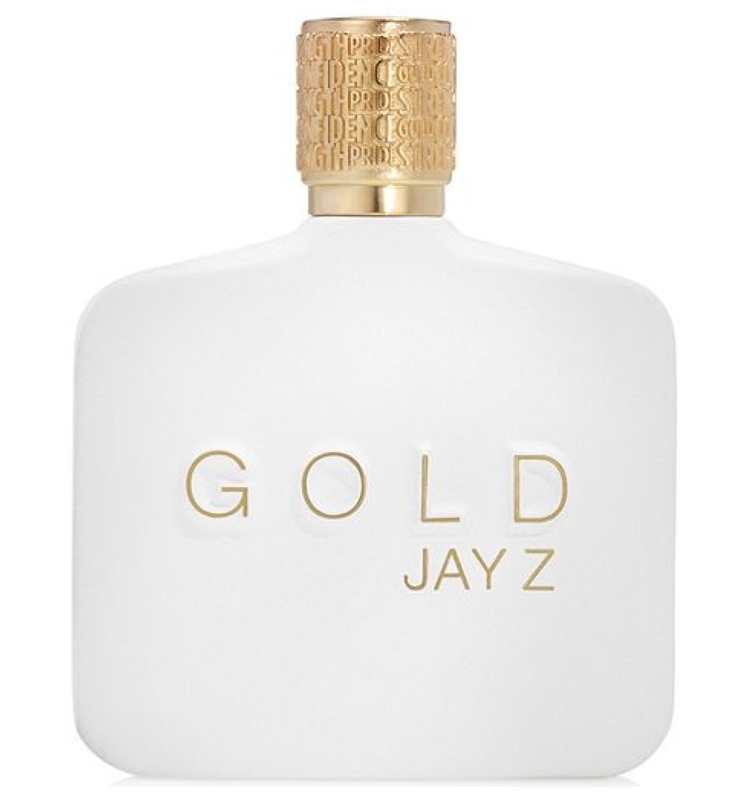 In case you are looking for an example of everything that is wrong with top-loaded celebrity fragrances, look no further than Jay Z.
Disclaimer: Sample came from a Nordstrom’s department store. Image courtesy of Nordstrom website.